Mikal Bridges got things started early, showing off his range in the first quarter. 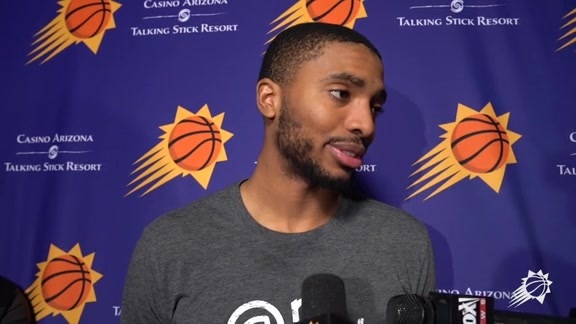 The 22-year-old was just two three-pointers away from becoming the first Suns rookie in franchise history to record 100-plus three-pointers and 100-plus steals. He one-upped the needed total hitting three three-pointers in the first quarter, including two four-point plays as he set the Suns record as well as became the 11th rookie in NBA history to accomplish this. 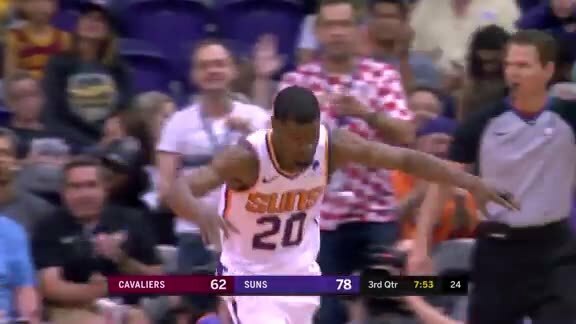 The Suns scored a season-high 71 points in the first half as Josh Jackson led the way for the team with 13 points as the Suns held a 19-point lead over the Cavaliers heading into the break. Although Cleveland went on a few runs throughout the night, they were never able to regain the lead following the first quarter as the Suns defeated the Cavaliers 122-113. While scoring 122 points may suggest the Suns offense won the game, it was actually their 12 blocks and transition points that guided them to the victory. The Suns outscored the Cavaliers 28 to 3 on fast break opportunities. Booker kept up his historic scoring run with 25 points for his 11th straight game of at least 25 points, tying Amar’e Stoudemire for the most in Suns history. 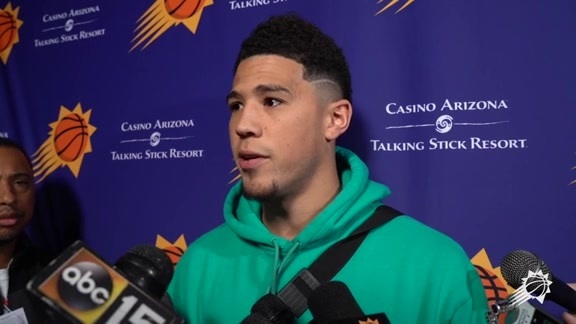 While his scoring was crucial for the win, Booker’s biggest impact came in the passing game where he dished out 13 assists for his 11th double-double of the season. Jackson filled up the stat sheet scoring 19 points with 10 rebounds, four assists and a career-high five blocks in the win. He did all this while shooting a highly-efficiently 63.6 percent from the field (7/11) and 66.6 percent from three (2/3). 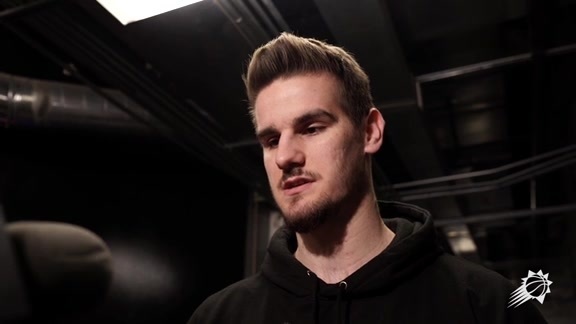 Dragan Bender (12 points, 10 rebounds) and Richaun Holmes (13 points, 10 rebounds) joined Booker and Jackson as the Suns had four players notch double-doubles for the first time since 2011 (Steve Nash, Grant Hill, Marcin Gortat, Channing Frye). The energy from the crowd could be felt and heard throughout the night as the Suns bench, whether in uniform, warmups or a suit, built off that energy and celebrated with the fans on the road to victory. Bridges finished the game with 15 points to go along with three blocked shots. Crawford scored 19 points on 70 percent shooting while also dishing out five assists. The Suns welcome the Utah Jazz to town on Wednesday at Talking Stick Resort Arena. Be sure to catch the action on Fox Sports Arizona.